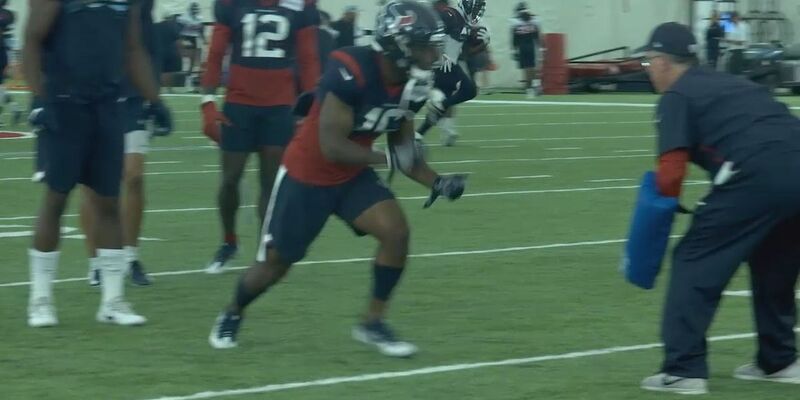 Indianapolis, IN (KTRE) - Former Lufkin Panther Keke Coutee did not disappoint in his NFL debut that saw the Houston Texans win 34-37 in OT. Coutee set a franchise record for the most receptions, 11 , by a player in his NFL debut, passing Andre Johnson’s six receptions in Week 1 of 2003. The Texans had an 18 point lead over division rival Indianapolis but blew the lead and the game went to overtime tied at 31. Coutee had several key catches in OT and finished the game with 109 yards. It had been seven weeks of waiting, between four preseason games and three regular season games as Coutee had been battling a hamstring injury since early training camp. Watson also said Coutee’s speed was causing the defensive players to blink. Head Coach Bill O’Brien said Coutee is on his way to becoming a key asset for the offense.